It's almost impossible to hate the LA quartet's well-crafted amalgam of new wave, new romantic, and indie. But that doesn't stop them daring you to try. Their name is culled from a Don DeLillo novel. Instead of the usual press clippings, their media kit contains a copy of a short story singer/songwriter Mikel Jollett published in Dave Eggers's McSweeney's Quarterly. You'll just have to get over it. The Airborne Toxic Event are cooler than you and me. At least that's what their pedigree and general aura would have us believe. The Los Angeles band's rise has occurred at a pace usually reserved for British flavors-of-the-month and East Coast acts. Blogsphere buzz, fervently-attended shows, heavy rotation on LA's legendary KROQ radio, and an appearance on American TV's Last Call with Carson Daly have all been theirs. Now comes the hard part. They actually have to release an album. As with the Strokes, the Arctic Monkeys, or Vampire Weekend, on paper the Airborne Toxic Event are a band you'd love to hate. And the music? It's a completely derivative amalgam of everything Jollett grew up with and seemingly every other trendy indie band that's hit it big recently. Blondie, the Jam, the Smiths, the Psychedelic Furs, New Order, Franz Ferdinand, Modest Mouse, Rilo Kiley, the Strokes themselves… they're all here. Then there's Jollett's singing, really more an audible form of writhing, complete with affected English accent. No rock vocalist since Billy Corgan has made wallowing in the emotional drama of his own lyrics such a vanity project. Yeah, you'd love to be able to dismiss The Airborne Toxic Event out of hand. Though it'll hardly change the face of indie music as we know it, this is a taut, well-executed, highly enjoyable little record. If Jollett and his mates are pilfering rock history past and present, they're doing it with passion and sincerity, fake accent and all. That's most evident on "Sometime Around Midnight", the track that got the band noticed in the first place. It's a true alt-rock symphony, complete with a viola overture. As Jollett relates, in second person, a late-night run-in with an ex-girlfriend, new layers of intensity are added to the music with each verse. The song moves from a gently-strummed guitar to full-on shoegazer mode, and Jollett holds off the histrionics until the very end. This lends resonance to his frenzied, mantra-like "You just have to see her / You know that she'll break you in two". Here, at their most grandiose and melodramatic, the Airborne Toxic Event are at their best. The song will hit at the gut of anyone who's been through such an experience, so much so that the lack of a chorus becomes negligible. "Sometime Around Midnight" is hidden in the album's second half, perhaps to deflect attention from the fact that nothing else on the album is quite as good. Also, there's a bit of a bait-and-switch at play, as only opener "Wishing Well" reaches for the same sort of widescreen emotional appeal. It's a highly Springsteen-influenced track, from the downhill-sounding cadence of Jollett's voice to the lyrics about a dreamer "standin' on a bus stop", running away in search of something better. It works, though, much better than, say, the Killers' stabs at Boss-like heft, thanks largely to the swooping, soaring arrangement and Anna Bulbrook's emotive viola. The rest of The Airborne Toxic Event is much more jaunty and riff-oriented. Some listeners have been disappointed by follow-up single "Does This Mean You're Moving On?". Like the superior "Happiness Is Overrated", it follows the recent trend of putting jagged, trebly indie guitars to a punchy, near-disco rhythm. Both tracks are fun, but compared to "Sometime Around Midnight", deliberately lightweight. There's a jangly, Americana-tinged feel to "Missy", while "Something New" pairs an approximation of New Order's "Age of Consent" riff with a girlish backing vocal from Bulbrook, resulting in the album's most pure pop moment. The rockabilly riff-sporting "This Is Nowhere" recalls the post-shoegaze rock of Starflyer 59, and the garage-rock thwacks come courtesy of "Gasoline" and "Papillon". The only real misfire is the epic "Innocence", which morphs from a pretty, viola-led ballad to a bizarre combination of "Your Silent Face", again from New Order, and the fadeout of Blondie's "Heart of Glass". Sounds interesting, but it's undone by Jollett's frenzied self pity. 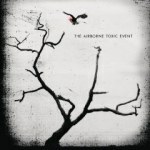 Like a lot of debuts, The Airborne Toxic Event is the sound of a band that's not exactly sure what it wants to sound like, trying on different styles and approaches for size. It so happens that, more often that not, those approaches make for a good fit. Insist that Jollett needs to get over himself if you want to. Try dismissing his band, though, and you may just end up putting them in heavy rotation in spite of yourself.